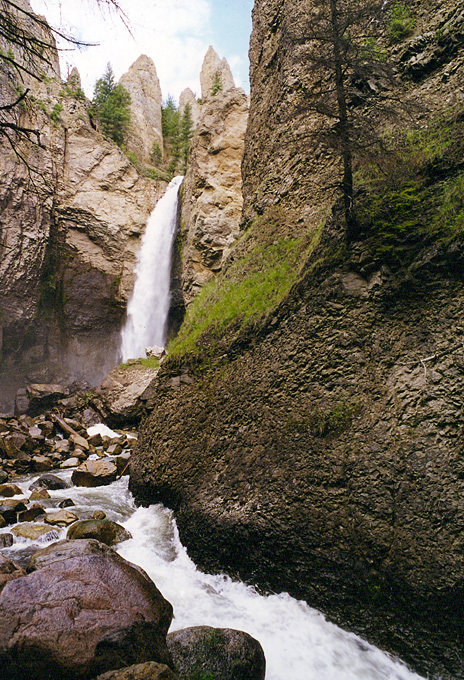 A short but steep walk will take you to the base of the very popular Tower Falls. 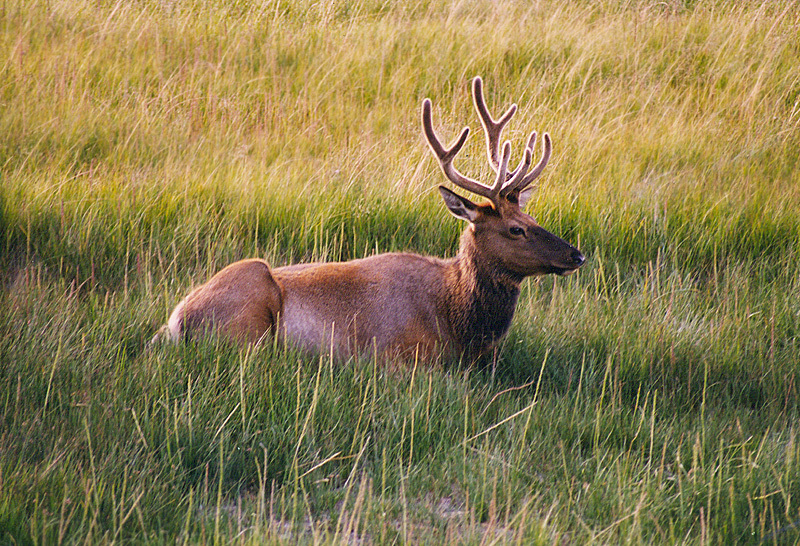 Elk Meadows lived up to its name every time I drove by it. 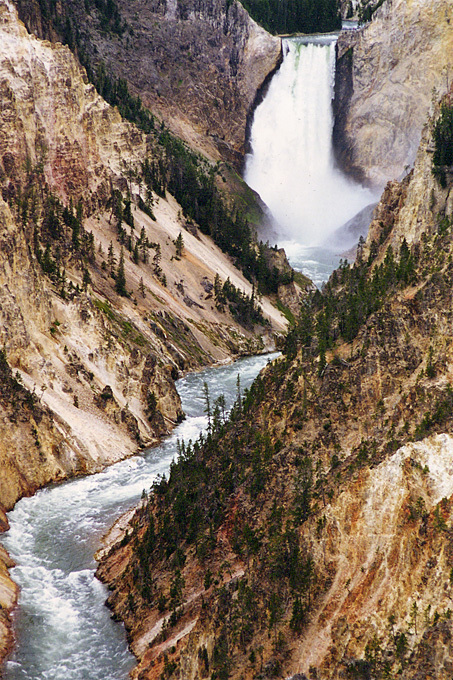 This view of the Lower Falls of the Grand Canyon of the Yellowstone was taken from a roadside overlook on the south side of the canyon. 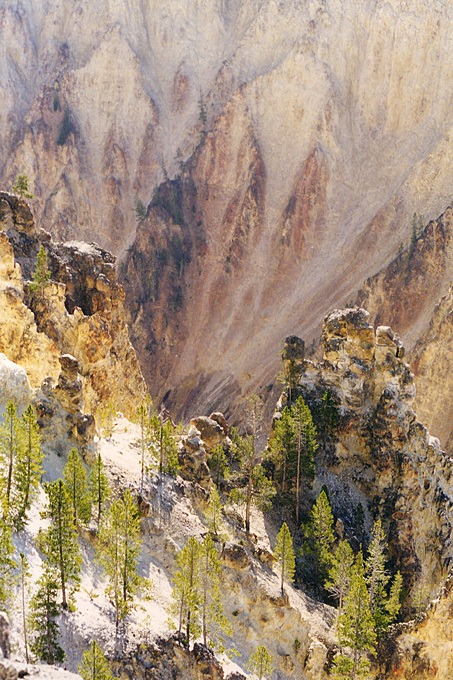 This view looking down into the canyon was taken from an overlook on the north side. Another canyon view from the north side. This time we're looking downstream, away from the falls. 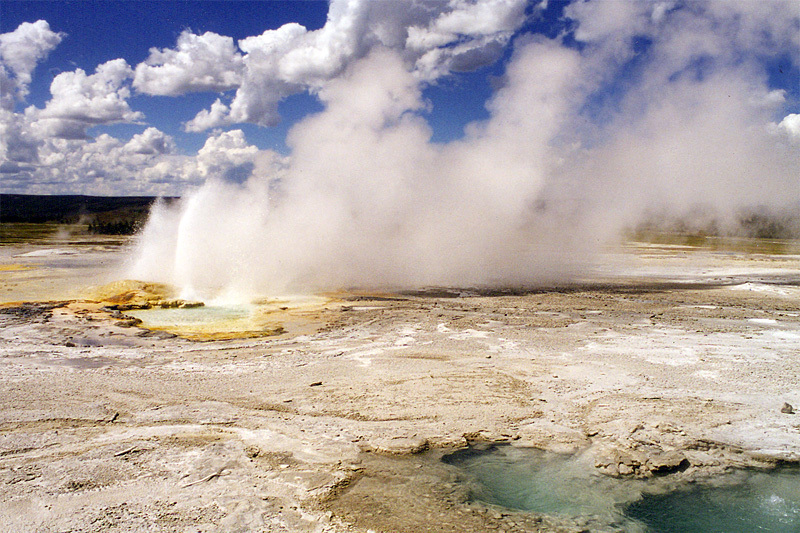 A view of the Lower Geyser Basin.